. . . with a pop of Cheddar! 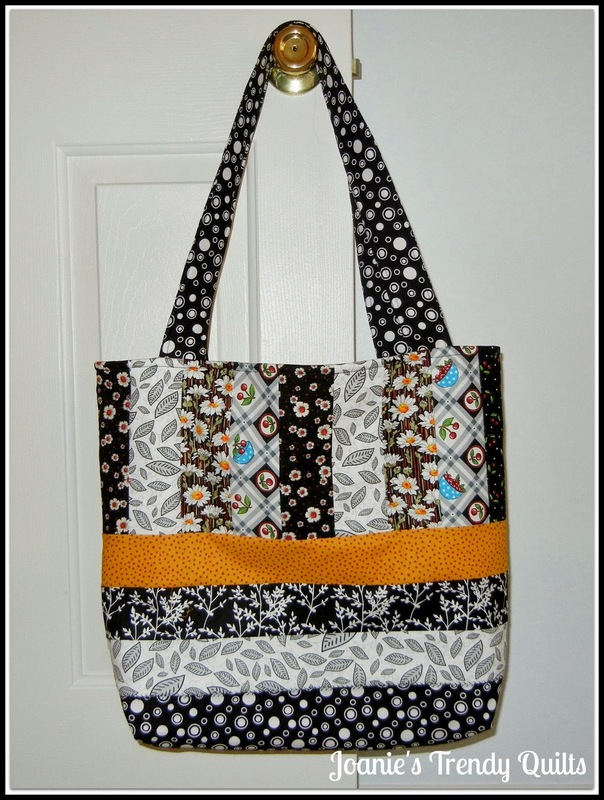 This tote bag makes me happy! It is going to be donated to a Red Cross Volunteer, a project of the Charlotte Modern Quilt Guild. Why am I happy that it is finished? 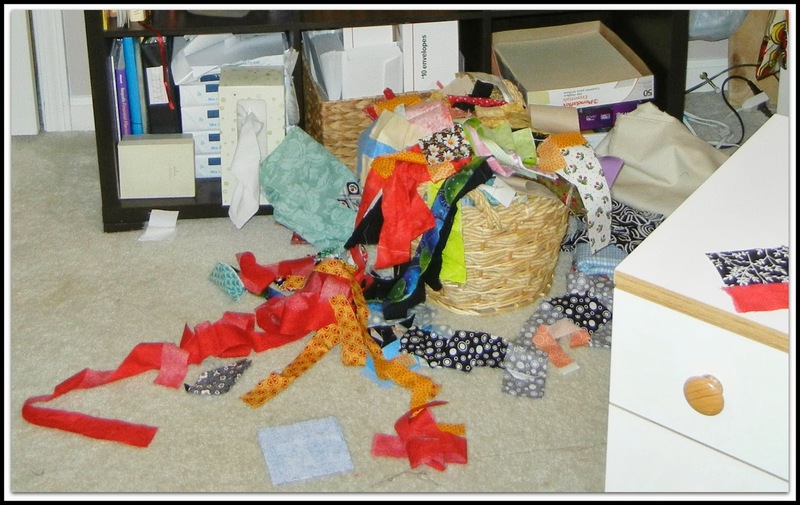 Because this is what my quilting studio looks like after finishing one and a partial one made. My quilting studio is a huge mess after a day working on both totes! Creative Explosion as deemed by a friend! Fabric is piled high on my desk as well. Threads are everywhere. I just cleaned up the day before. It sure didn't take me long to make this creative explosion. As you can see I shopped my stash and scrap basket. Thread was everywhere because of making use of my seam ripper that I love using! Not! 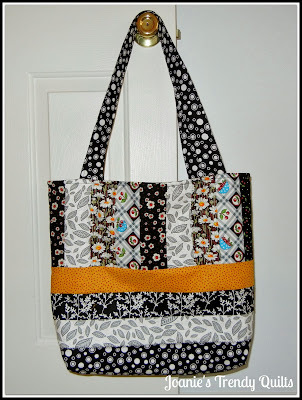 Are you wondering why a simple looking tote would create a need for so much ripping? Me too! 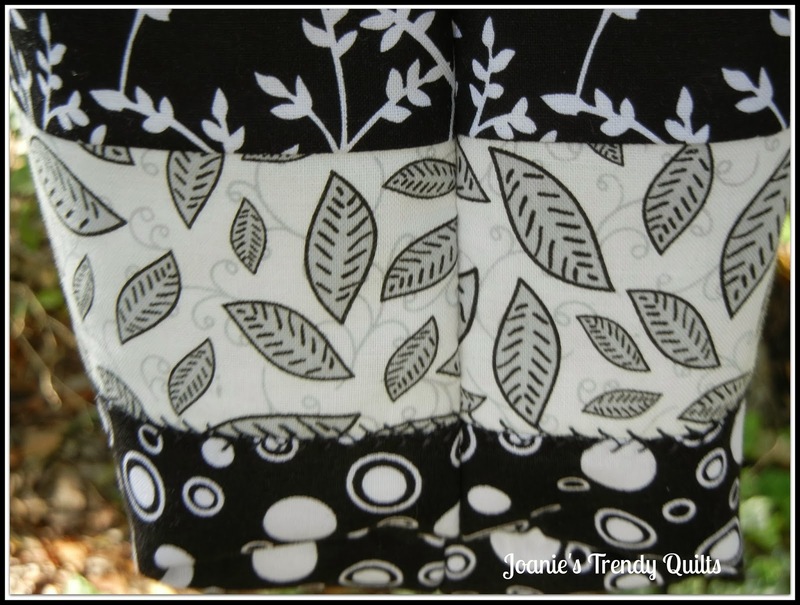 It was because of using 3 different patterns to implement different features, one for size, one for stripping (the pattern was all vertical strips) and the other for using fleece in place of fusible interfacing. The creative redesign was a bit of a bumpy road. But, now that I have it down the second one is going smoothly! The second one will be for My Etsy Shop. Come this Thursday I am hoping that it will be received well and that the Red Cross Volunteer will love it! Do you think she will? Love the cheddar with black and white. I'm not into making bags anymore...but yours came out great!!! The volunteer will treasure it! Your bag looks great! Its roominess will be appreciated by the volunteer. 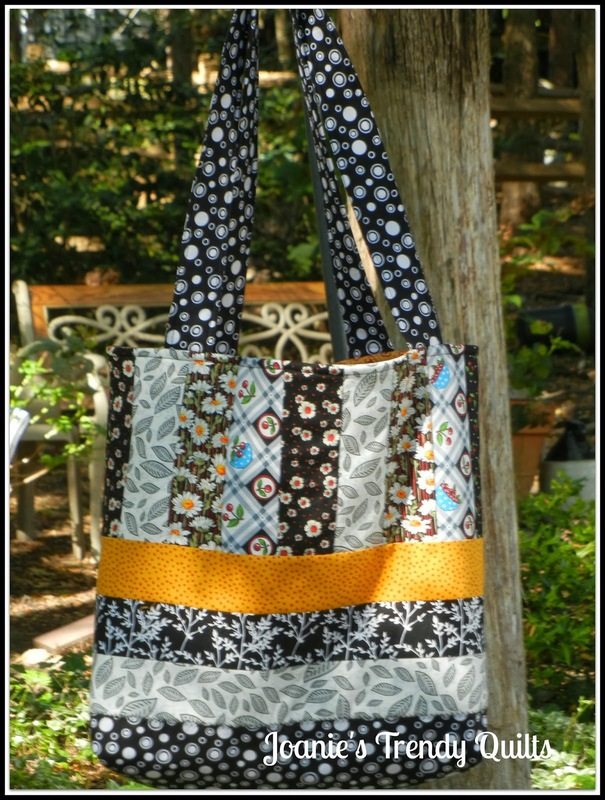 Way to use those scraps! I love the one with the black and white! Beautiful! 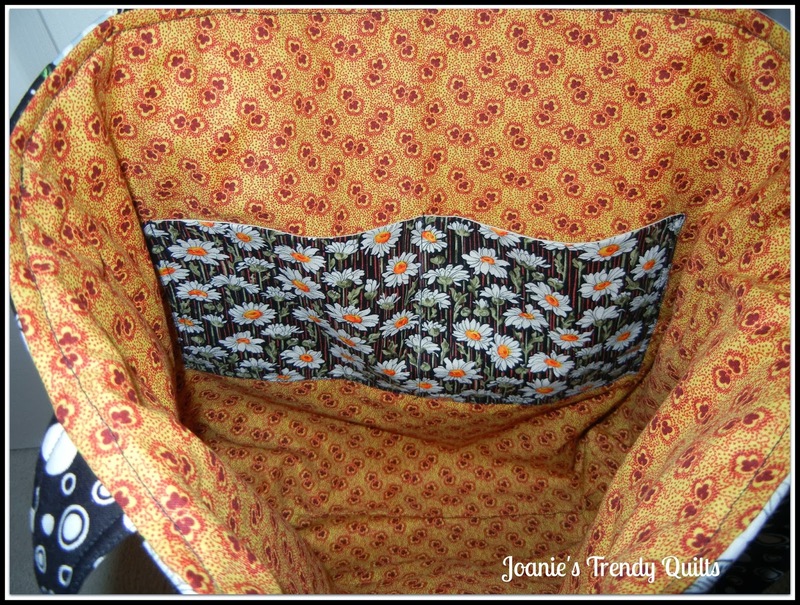 Beautiful bag and I tend to always keep my seam ripper handy too! Thanks for sharing. 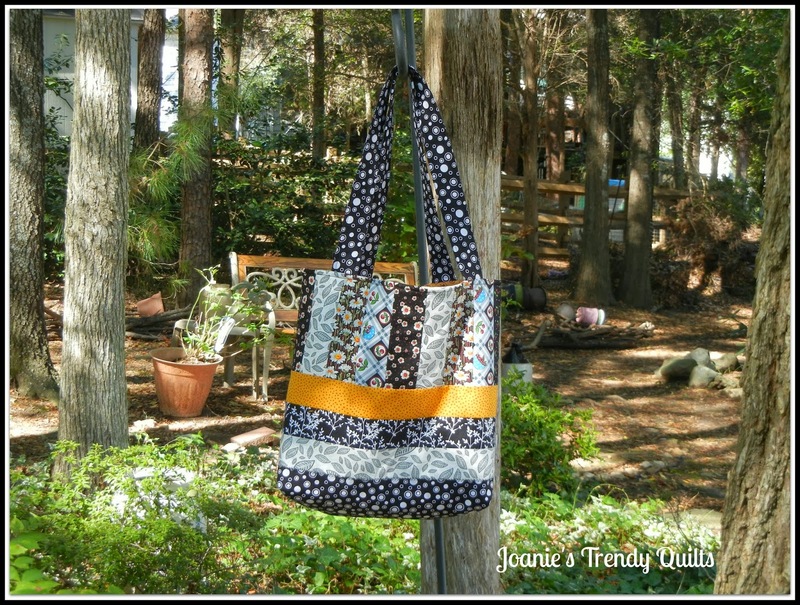 Love your bag - great color combo! You did a great job! 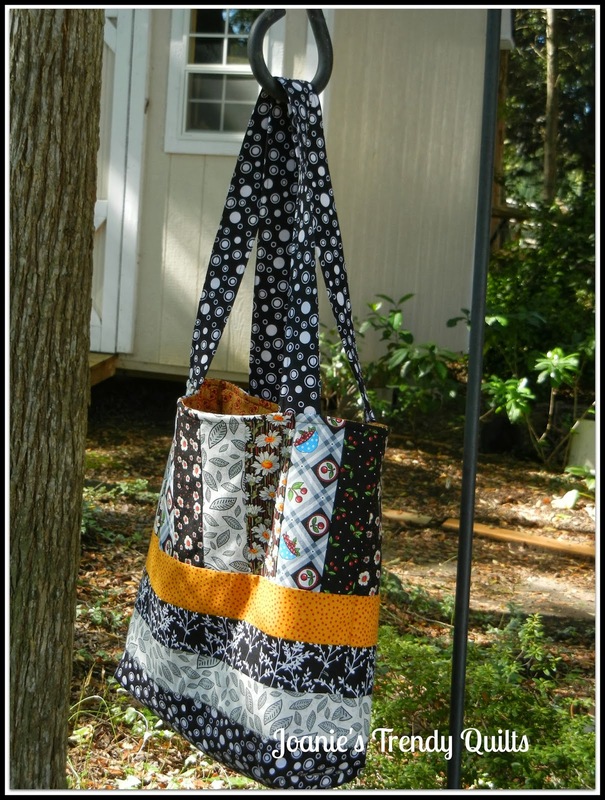 Bags are one of the things I love to make.